Released a few days shy of scheduled date, Gold, Adekunle Gold’s debut album, was not billed to become the surprise it eventually became. Blame it on the need to be (in) the news, break internet, initiate trends (especially via hashtags) but these surprises are a pop culture trick we know too well. Bottom line: the album is out and, as far as I know, it has percolated deep into Nigeria, as far as Esie, Kwara state. 2016 has been a slow year for music albums but folks at YBNL continue to reinforce their street credibility with their soldier-ant work ethic. Closely following Lil Kesh’s debut, YAGI, is Adekunle Gold’s self-titled long play album, a 14 track album with a short intro and a bonus track. With production credits from Seyikeyz on two songs— ‘My life’ & ‘Nurse Alabere’—and the intro; Oscar on four songs; B Banks, Sleekamo and Masterkraft on a song each and Pheelz producing a whooping six songs, Gold is established a YBNL project. Adekunle Gold is no longer new to our music scape; he came to us by way of a cover of One Direction’s ‘Story of my life’. Although not his first, it became his song that broke the barriers of obscurity and set him on the path of greatness with a YBNL record deal. Sade, immortalized in Adekunle Gold’s discography as a bonus track, is a seemingly solemn epistolary love ballad directed to the eponymous Sade by a love-forlorn and presumably para-suicidal bachelor in his 30s begging for her hand in marriage. Adekunle’s treatment of this song in humorous Yoruba is partly serious but ultimately melodious with an acoustic feel that every so often gives way to the assertive percussion that became customarily of the song’s hook. Little wonder, the song grew into a monster hit. Gold has since moved away from Natialo Productions who made that hit into the stables of Oscar Heman-Ackah, unsung genius of mid-tempo Afro-soul hits and the producer of his second big hit, ‘Orente’, which, sort of, sealed Adekunle Gold’s fate as the spokesman of the typical upwardly male lover. ‘Orente’ is, on the one hand, a praise song but on the other hand it also charts popular Nigerian songs and phrases like Alobam, Girlie-O and Dorobucci. This knack for double intentions or interpretations is consistent with the entire Gold album. The Gold album presents Adekunle has the new poster boy of affection. Yes, the album sometimes insists on becoming a paean to breakthrough but it also marries this with love matters that often grapple with infidelity (in ‘Temptation’), long distance relationships (‘No Forget’ with Simi), physical intimacy (‘Beautiful Night’) and (‘Fight for you’). Every other song, in different ways, speaks to the struggles of the modern African man who aspires to some measure of wealth. Adekunle Gold is deeply Yoruba. One can tell from his dress sense: a love for African prints in his videos as well as at Red Carpets. On the cover of this album, he appears sporting a gold agbada to match his roman gold leaf wreath, presumably an accessory to identify him as royalty amongst the upwardly mobile. His motivational dance song, ‘Pick Up’, his third hit, speaks to his role as the henchman or as the Pentecostals will say, the point of contact, for those seeking material wealth lurking within the realms of divine favour. With this thematic concern, Adekunle Gold clearly identifies with the mood of juju music of the austere period during Nigeria’s dictatorship. In the wake of recent economic turmoil, this song is the elixir will need to stir us through hard times. And besides treating serious issues with emphatic fervor, it also serves that other important purpose of dance. In tandem with the biblical convention of faith comes the song, ‘Work’, where he admonishes the modern man to eschew the quality of hard work as well as make economically sound lifestyle choices. This counsel could not be more apt. We are in the era of the Urban Poor, being middleclass has gone from being nebulous aspiration to becoming an eschewed lifestyle pursued beyond the limit of pragmatic choices. Adekunle Gold merges his social change project with deep modern reflection and humour. With his language negotiating between Pidgin English and Yoruba, Adekunle Gold’s debut hardly strays from the confines of mid-tempo ballads situated within Highlife and modern folklore. This requires that there is a marriage of sort between both digital and analog techniques as acknowledged in the credits for numerous session instrumentalists. The most accomplished of these sonic dime-pieces the gospel-tinged is ‘My Life’. However, Adekunle Gold occasionally experiments out of his comfort zone like he did on the song, ‘Ariwo Ko’, which borrows heavily from Bollywood music. On ‘Friend Zone’, he updates Lagbaja’s ‘Anything for Me’ with modern registers and by the time the album spools to ‘Ready’, his fourth hit, the album approaches its nadir. Credits must be given for the arrangement of the tracklist which punctuates every column of new songs with an accomplished hit in the fashion of Lil Kesh’s YAGI. 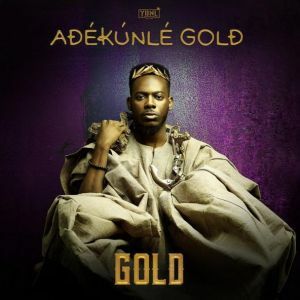 With Gold, Adekunle joins the ranks of Brymo, Darey Art-Alade, BankyW, Timi Dakolo as one of our foremost male crooners, of course, with his Yoruba lilt hugely reminiscent of traditional music forms like Juju and Highlife.